West Seattle Blog: Myers Way Parcels - Frequent updates on conditions and meetings. A local advocacy group is working to overcome the barriers to voting faced by people experiencing homelessness. New laws passed in Olympia after pressure from advocates are also making it easier to become a voter in Washington State. 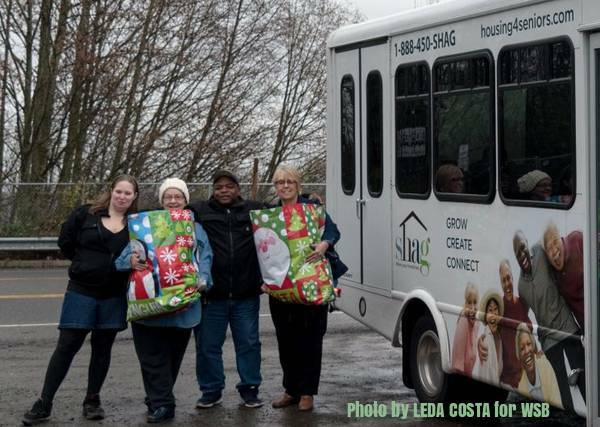 Winter needs: Clothing in men’s and women’s sizes – “warm winter coats, insulated shirts and pants, socks, gloves/mittens, scarves, winter boots, long underwear (thermal), sweatshirts, sweatpants, hats” – plus blankets, sleeping bags, hand warmers. Camp can accommodate up to 70 residents. ​Tiny houses are being added to replace tents. Camp Second Chance is applying for 501(c)3 status. Audio recording available on request. ​Audio recording available on request. Report Prepared Nov. 5, 2017 by David B. 1st meeting May 7, 2017 at Camp Second Chance Reports: site blog | West Seattle Blog | PDF minutes at Seattle.gov. Contact City officials to speak up for Camp Second Chance: Ask to change municipal ordinance to increase time limit beyond two year maximum for permitted encampments that meet performance criteria. Cite the avoidable taxpayer expenses of moving encampments and the disruption of services. Put 'Myers Way' in subject lines. Low Income Housing Institute (LIHI) is the city-contracted camp administrator. Tom attends monthly CAC meetings at Arrowhead Gardens. 1. To operate a transitional encampment which maintains a safe and stable physical and social environment to provide shelter for people experiencing homelessness. 2. To help people move into permanent housing (in accord with City of Seattle’s goal of moving 40 percent of camp residents to permanent housing within 90 days) by connecting them with casework and other resources. 3. To build an extended community around the camp including supporters, volunteers, donors, and “alumni” (former residents who have moved out of the camp into permanent housing). That didn’t answer the question of how a citizen would routinely access the data, so we repeated it. ​FUNDING FOR TINY HOUSES: Arrowhead Gardens resident Diane asked Stenger to clarify the money that’s being spent on tiny houses at C2C. Reply: The church raised $21,000 starting in spring 2016, then through “momentum” of community and church, that “ballooned to $40,000, and we’re kicking off a campaign to raise another $60,000.” One house generally costs $2500 to $3000, Stenger said, depending on what kind of material donations are available, or how much is available at reduced prices. A list of articles about housing the homeless. Read articles posted about the status of homelessness in Seattle/King County Region and around the country. C2C is transitioning it's administration from Patacara to LIHI. Politics and aspirations are described. "Mary Diederichs runs the donations tent at Camp Second Chance. Diederichs knows campers’ sizes and finds clothing for them." Good afternoon Mr. Walling and thank you CM Herbold. I’m connecting you to Anne Burkland who can assist in answering your questions. She is on vacation this week so can get in touch with you upon her return next week. Of note, Public Health has developed the guidelines that the City uses with the City sanctioned encampments. I’ve provided you a copy. 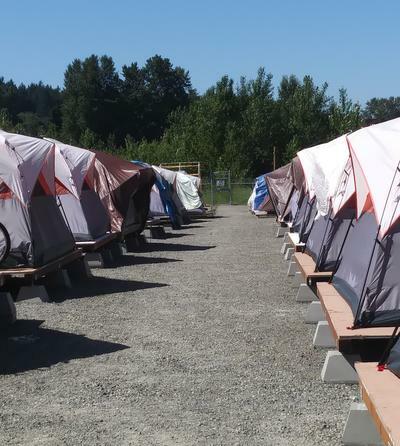 The guidelines ensure that health and safety standards are met when the encampment is set up as well as the oversight organization appointed by the City. Thank you again for your email. 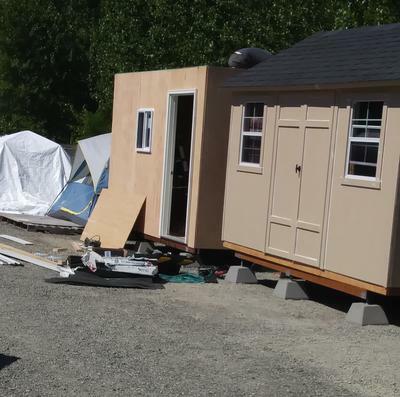 "Open house on Sunday at camp 2nd chance...very nice people...very nice time...impressive # of tiny homes...efficient system of chores" -- Nancy H.
Up to 50 tents on platforms will be replaced by tiny houses before the next snow season of 2017-18. Our next Community Advisory Committee Meeting for Camp Second Chance on Myers Way will be Sunday, May 7, 2-4 pm. We will meet at camp at 9701 Myers Way S. Seattle WA 98108. This will give everyone a chance to see recent improvements to the camp, like our potable water cistern and electricity! If the weather is fine and we have enough chairs, we will hold the meeting at the camp. If the weather is foul or we are short on chairs, then after the camp tour we will move to an indoor location. I have not yet secured a room but I'm working on it, and will get back to you with that location. The official members of the committee have now been selected. If you would like to be wait listed for a spot on the official committee, please let me know. The committee members were selected by myself, committee chair Willow Fulton, and Tom Van Bronkhorst of the City of Seattle Department of Neighborhoods. We prioritized trying to balance membership to include representatives from all four neighborhoods bordering the camp: Top Hat, White Center, South Delridge, and South Park. These meetings are open to the public, and we will be posting minutes of the meeting online. If you are unable to attend the meeting but would like to add to the discussion, feel free to email me. Thank you all for everything you do to make Seattle a safe and compassionate community for all.